Today, the U.S. Consumer Product Safety Commission (CPSC) and Whole Space Industries have voluntary recalled approximately 3,200 units of Roman shades and roll-up blinds, specifically their “Innovations” and “At Home with Meijer” products. 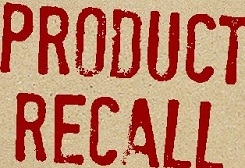 The recall has been re-announced as approximately 240,000 units were recalled in March of 2010. This recall involves previously recalled “Innovations” and “At Home with Meijer” Roman shades and roll-up blinds that were redistributed to stores, and sold after March 2010 without a repair kit. The affected shades contain a label reading “Innovation” or “At Home with Meijer” that can be found under the headrail. The Roman shades, made with fabric or bamboo, pose a strangulation hazard when a child places his/her neck between the exposed inner cord and the fabric on the backside of the blind. Strangulation can also occur when a child pulls the cord out and wraps it around his/her neck. The roll-up blinds, made with bamboo, also pose a strangulation hazard, as strangulation can occur if the lifting loops slide off the side of the blind and a child’s neck becomes entangled on the free-standing loop, or if a child places his/her neck between the lifting loop and the roll-up blind material. The products affected by this recall were sold at discount retailers, dollar stores, flea markets and other retail liquidators nationwide, from March 2010 through September 2011. Originally, before being recalled, the products were sold at Meijer stores between January 2004 and December 2009 for about $40. Consumers should immediately stop using the Roman shades and the roll-up blinds, and contact the Window Covering Safety Council for a free repair kit at (800) 506-4636, or by visiting www.windowcoverings.org. Consumers can also return the products to any Meijer store for a full refund. It is important to note that no injuries have been reported to date.